A Consumer Reports investigation found arsenic, cadmium and lead in popular fruit juices. How to reduce your and your kids' risk. Many fruit juices still contain “concerning” amounts of heavy metals that could pose health risks to children and adults if consumed daily for years, a new Consumer Reports investigation has found. When the organization tested juices from two dozen brands in four flavors — apple, grape, pear and fruit blends — almost half contained what it considered “elevated levels” of arsenic, cadmium and lead, the CR report warned Wednesday. Some of those products were juice boxes or pouches popular with kids. Overall, heavy metal levels in fruit juices have gone down since CR conducted similar tests in 2011. That’s good news, but there’s always room for improvement, said James Dickerson, chief scientist for Consumer Reports. “People should still be concerned that these heavy metals are still being found in juice products… and take action so they can ensure that they and their families are healthy and safe,” Dickerson told TODAY. Heavy metals occur naturally in the air, water and soil so it’s impossible to avoid them completely. But juice manufacturers can reduce the amounts by being selective about where they source raw fruit, and how they process and package the juice, he noted. The Juice Products Association, an industry trade group, countered that the investigation needlessly alarms consumers because the U.S. Food and Drug Administration has not expressed any recent concern about the trace levels of heavy metals in juices. "There is no scientific evidence indicating that the presence of trace levels of heavy metals in juice has caused any negative health outcomes among individuals at any life stage," the association said in a statement to TODAY. "Juice producers make safety a priority 365-days-a-year and believe the concerns cited by Consumer Reports' intermittent testing of selected products are unfounded. Consumers can be assured that juice is safe." The investigation tested 45 juices from the following brands: 365 Everyday Value (Whole Foods), Apple & Eve, Big Win (Rite Aid), Capri Sun, Clover Valley (Dollar General), Great Value (Walmart), Gerber, Good2Grow, Gold Emblem (CVS), Goya, Honest Kids, Juicy Juice, Looza, Market Pantry (Target), Minute Maid, Mott's, Nature's Own, Ocean Spray, Old Orchard, R.W. Knudsen, Simply Balanced (Target), Trader Joe's, Tree Top and Welch's. 21 of the 45 juices had “concerning levels” of cadmium, inorganic arsenic, and/or lead. Seven of those 21 juices could harm children who drink 4 ounces (half a cup) or more a day; nine of them could pose risks to kids at 8 ounces (1 cup) or more a day. Five of the products with elevated levels were juice boxes or pouches. They could pose a risk to a child who drinks more than one a day. 10 of the juices could pose a risk to adults: five at 4 ounces or more a day, and five at 8 ounces or more a day. Grape juice and juice blends had the highest average heavy metal levels, possibly because grapes take up heavy metals more than other fruits, Dickerson said. Juice blends often have grape juice as a primary component. Organic juices didn’t have lower levels of heavy metals. Dickerson emphasized the juices in question were not violating government rules, and Consumer Reports was not speaking as a standard setting organization. But based on its own risk assessment, CR concluded some of the juices could pose a health risk for a person with chronic exposure — or “continued, persistent consumption of these juices over an extremely long period of time,” Dickerson said. That means children drinking the juice every day throughout their development, or adults drinking it every day throughout their lives, he noted. No single food leads to people being exposed to heavy metals; rather, many different foods that contain low levels of these elements can add up to a level of concern, according to the U.S. Food and Drug Administration. Infants and children are most susceptible to the harmful neurological and developmental effects, it warned. 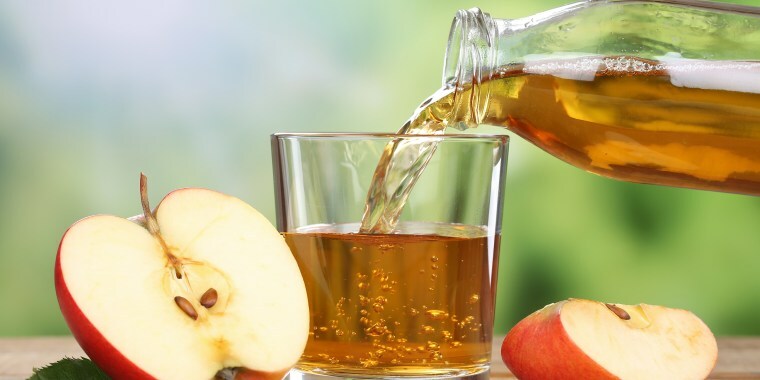 The newest report comes almost six years after the FDA set a new limit on the level of arsenic allowed in apple juice — lowering it from 23 parts per billion to 10, the same as in drinking water — amid pressure from consumer groups. That limit is still not officially in place, Consumer Reports said, calling on the agency to finalize it as soon as possible. FDA tests in recent years showed 95 percent of juices were below that limit. Still, Consumer Reports wants the maximum to be even lower — 3 parts per billion — and for it to apply to juices other than apple, said Jean Halloran, director of food policy initiatives at CR. The government limit for lead in juice is 50 parts per billion, which CR believes should be lowered to 1 part per billion, or around the level in bottled water, Dickerson said. There are no official limits for cadmium in juice, but CR supports a limit of 1 part per billion. The FDA is aware of the new CR investigation, but hasn’t yet commented due to the recent government shutdown, Dickerson said. Fruit juice sounds healthy, but nutritionists are not fans because it lacks the fiber of whole fruit and can contain as much sugar as soda. “For children and adults, no juice needs to be included as part of a healthy-well balanced diet,” wrote Madelyn Fernstrom, NBC News Diet and Nutrition Editor. The American Academy of Pediatrics advises against giving fruit juice to children younger than 1. It recommends a maximum of 4 ounces daily for children 1-3 years old; 4-6 ounces for children ages 4-6 years; and 8 ounces for those 7 and older. The group was also concerned about the harmful effects of heavy metals on kids. "Exposure to these metals early on can affect their whole life trajectory," Dr. Jennifer Lowry, chairwoman of the AAP's Council on Environmental Health, told Consumer Reports. Be aware of your daily juice consumption. It may be much more than you think. If you are worried about your kids’ exposure, limit how much juice they drink. Squeezing your own juice may lower the level of heavy metals. Reduce the amount of rice and rice-based cereals your children eat because rice tends to uptake heavy metals more than other grains. Sweet potatoes may also have higher levels.